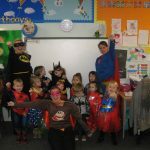 Ormiston Herman Academy – Little Learners Superhero day! 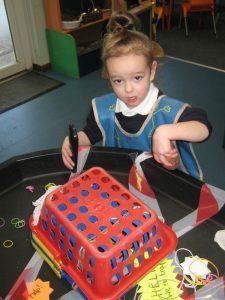 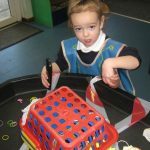 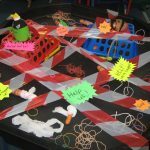 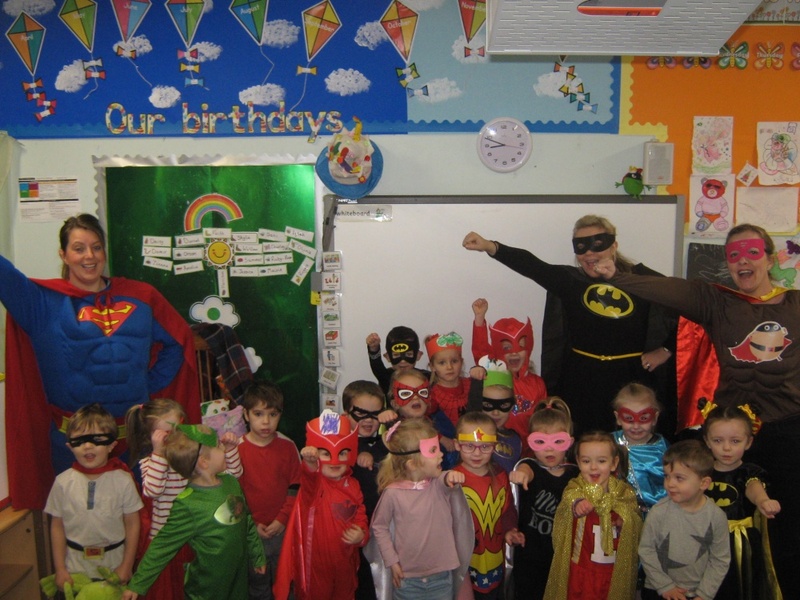 Ormiston Herman Academy > News > Academy news > Little Learners Superhero day! 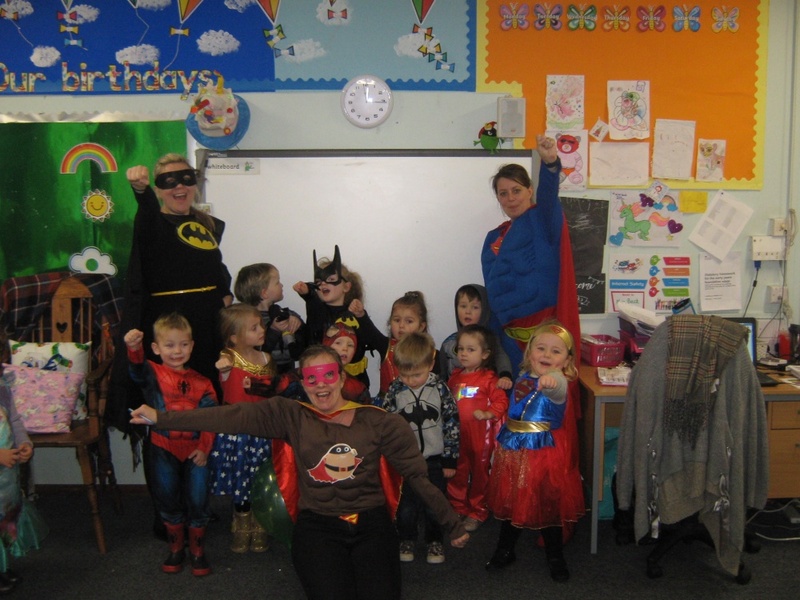 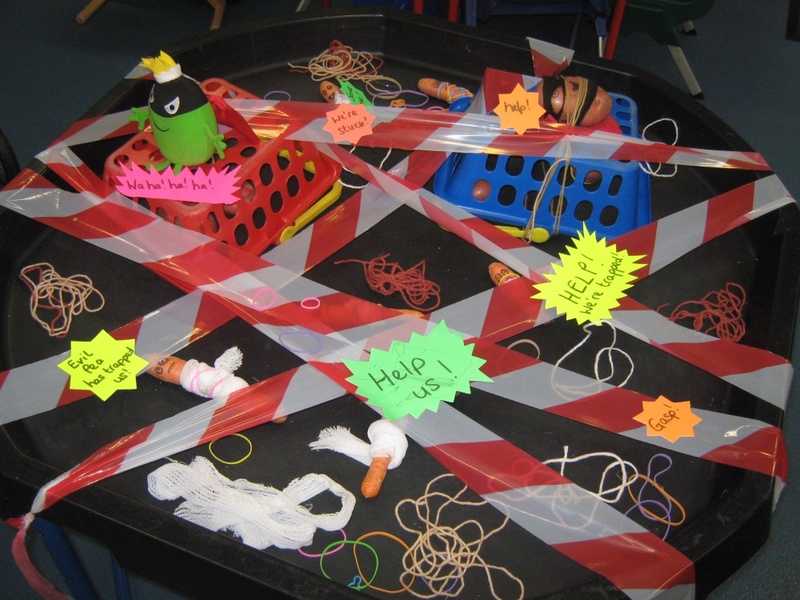 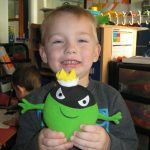 This week in Little Learners Nursery we have been continuing our superhero topic. 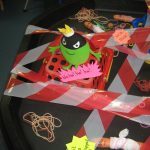 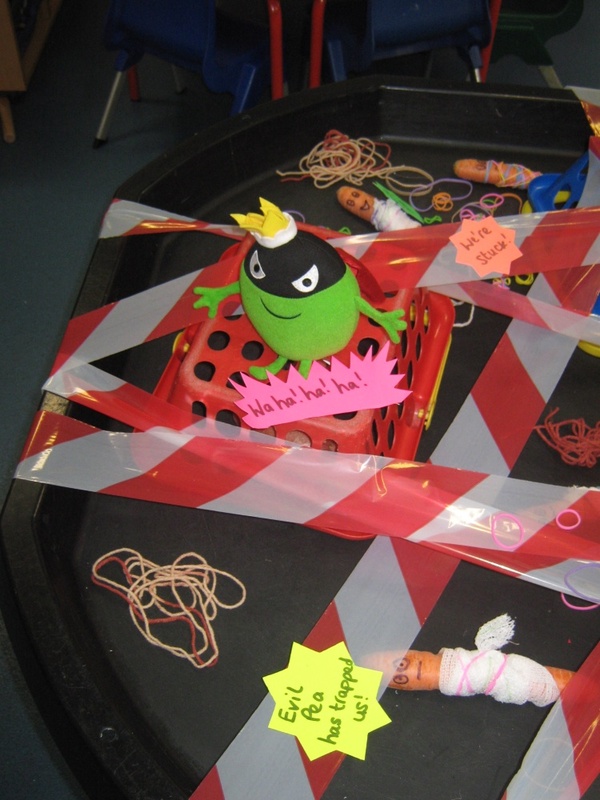 We had a visit from Evil Pea from the Supertato story. 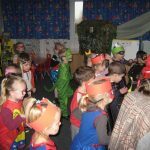 He had captured all of our vegetables and the only way we could save them was to find objects beginning with ‘s’ on his check list. 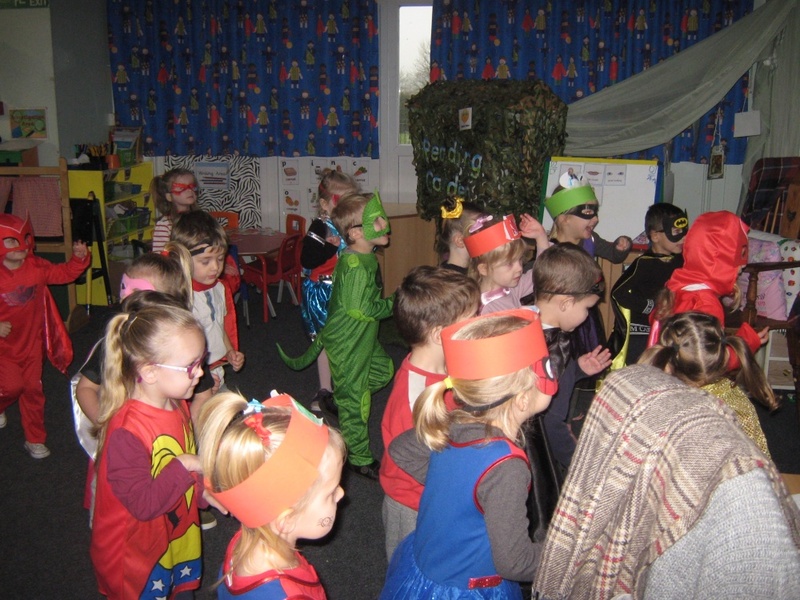 We did a great job!! 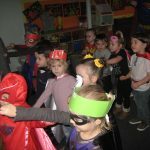 We found a spider, sausage, superhero and star. 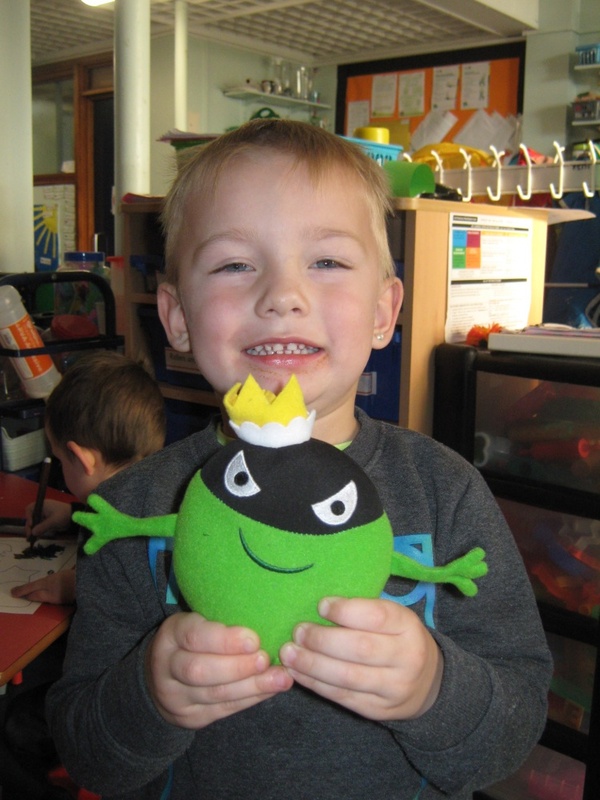 Supertato was so pleased with us he sent us a letter and said as a treat for saving his friends the vegetables we can have a superhero party. 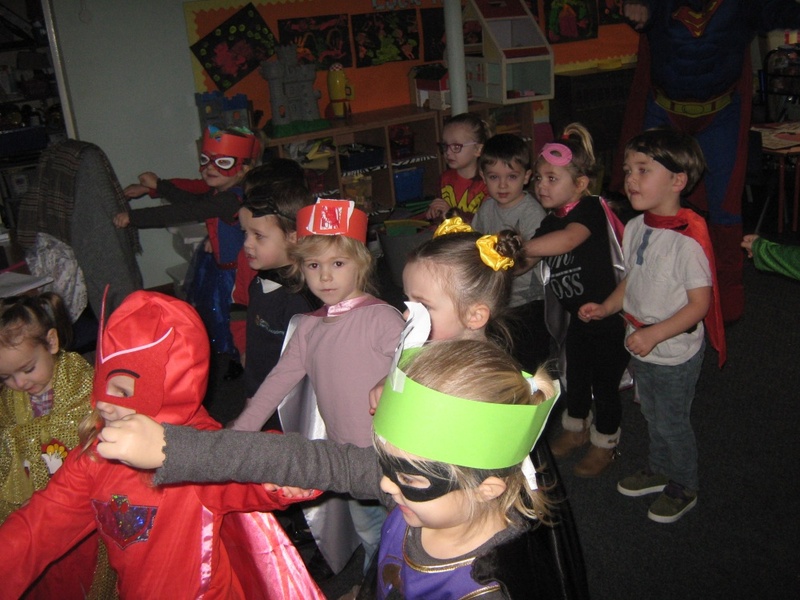 We had so much fun at our party. 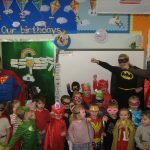 To celebrate we dressed up as superheroes and played games.